2manytears, isn't Kodoku no Gurume a gem? We've just started watching season 5 hope there will be many more to come! Also just watched Okitegami Kyoko no Biboroku - the Forgetful Detective and LOVED IT! Nigeru Onna, Haburashi, Naomi to Kanako and Damena Watashi ni Koishite Kudasai. The first three are darker in content (suspense/crime), and the last one is a light rom-com. I've also watched all 4 episodes of the medical drama Fragile, but dont know how I feel about it yet. I like the actors, and the patient cases are interesting enough, but there is about 5 minutes in every episode where I felt a really strong urge to fast-forward. I recently finished Shinzanmono which was mentioned by several people on this thread. It was very enjoyable - thank you to all who recommended it! #mym999 I so agree with you, I too am getting very frustrated in how many really good Jdramas are not being subbed at all or are subbed only partially and then dropped. I've also been wishing someone would sub the Higanbana series. I'm watching and really enjoying Kazoku no Katachi right now, it is so very funny and well written, but its subs seem to take forever too. @mym999 I watched "Designer Baby" last year, and I thought it was quite good. The person who is doing the subs now seems to be moving at a 1 episode per week pace, so the last two episodes will probably be done very soon. From what I can tell, most Jdramas are subbed by individual fansubbers, which makes the process slow and uncertain. It's really unfortunate that Viki doesn't get licences to show currently airing Japanese dramas. I bet the subs would be lightning-fast in that case. @Kathy thank you for commenting about "Kazoku no Katachi." I was looking around for something new to watch after "Nigeru Onna" ended, and that's one of the dramas that caught my eye. I think I will give it a try next. @Kathy I feel the same way as you. I hope that Jdramas will become more easily available in the future. @mym999 Nigeru Onna doesn't have English subs at this time. I watched it with Japanese subs. (My Japanese is not good enough to watch raw.) If you can read Chinese, I've seen C-subs up to episode 4. I pm-ed both of you a link with some information. 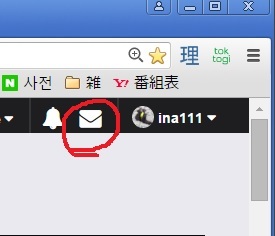 #ina111 I never seem to get pm messages on this site. @mym999 I haven't heard of Majo Saiban before. I just read the synopsis and it sounds like something I would enjoy a lot. Thank you! Most of my favorite Jdramas from last year were in the genres you listed (crime, mystery, suspense), though I tend to lean toward the more common type of detective stories. I have been trying to branch out again and watch more of a variety of dramas, and I love reading the recommendations here. I only regret that I don't have more free time to watch all of these fun shows. The link I sent in my PM was just a link to the site that lists Jdramas and fansub groups that are/were working on them. It's something you can easily find by googling, I just wasn't sure if it was ok to post the link in the thread, so I PMed it instead. My message is definitely not worth worrying about, but if you have a chronic problem with PMs, it's probably worth contacting the soompi tech support and getting to the bottom of it. I noticed that there is another soompi user with the same name (lowercase Kathy), I wonder if that could mess up the pm addressing. I don't think that there are any account settings that would turn off the message delivery, but I'm not very familiar with soompi features myself. #ina111 I did click on the envelope on the top right and it just tells me there are no messages, I'll have to try to contact someone about why that is. #mym999 I'm watching Himura Hideo no Suiri as well and enjoying it. It is definitely in a lighter vein, but I'm also enjoying Keishichou Zero-gakari have you watched N no Tameni? Does anyone know if 'Let Me Call You Father-in-law' will continue to be subbed? I enjoyed episode one so much but several episodes into it only that first episode has been subbed so far. @Kathy The person who is subbing that drama (c-love-r-cafe on tumblr) has a thread over on d-addicts forums. They haven't posted any sub updates since publishing episode 1 on January 31. They also haven't announced that they dropped the project, so I'm hoping that they will continue subbing. BTW, I liked Kazoku no Katachi a lot. I had planned to watch one episode last weekend, but ended up watching four. At this rate I'll be all caught up before episode 7 airs this Sunday. I agree with you, it's a very well-made drama. It's funny and heartwarming without being sappy. N no Tameni i never watched it..I thought its more of melodramatic and guilt..i read some where that he got arrested with out commiting murder bcz of guilt and frnd doesnt budge over his decision to surrender.